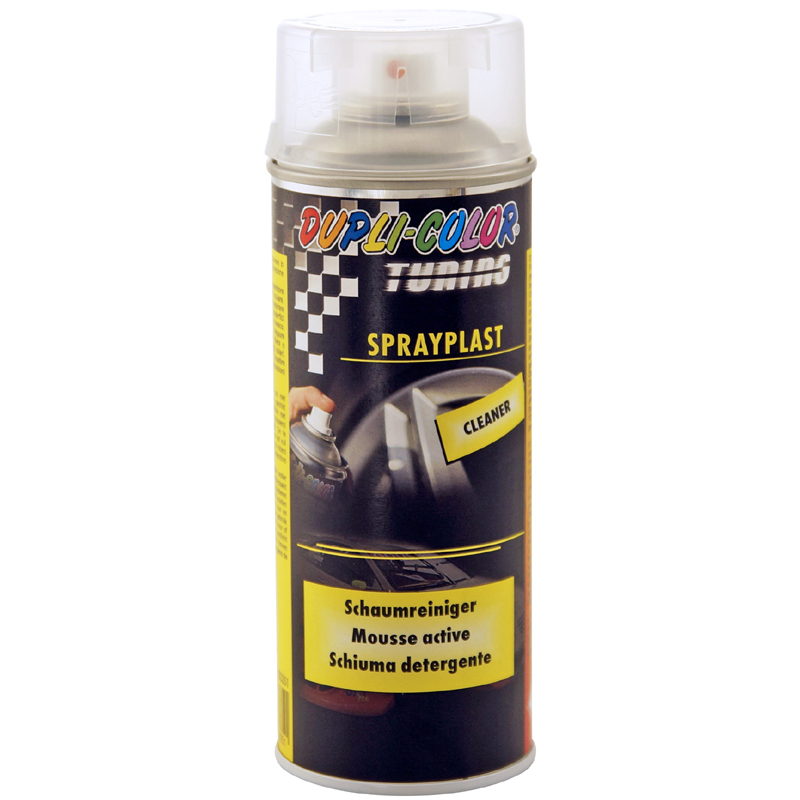 Before painting with SPRAYPLAST, remainders of fat, oil or silicone can be treated with a customary cleanser (e.g. presto Wheel Cleaner 382328). Afterwards you can clean the surface with the SPRAYPLAST Cleaner. This will optimize the adherence of the SPRAYPLAST lacquer. Even suitable to clean a surface which you already painted with SPRAYPLAST.